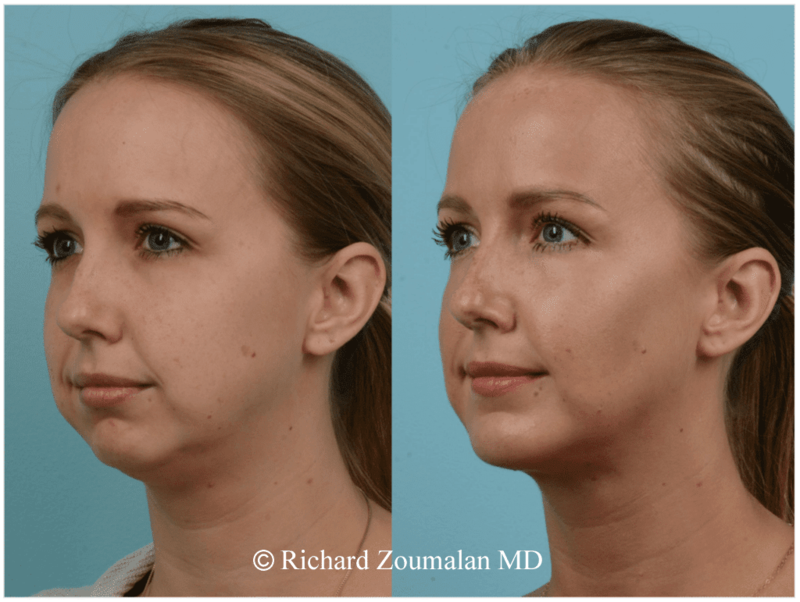 Buccal fat pads can lead to an excessively round face, especially in the lower cheek areas. 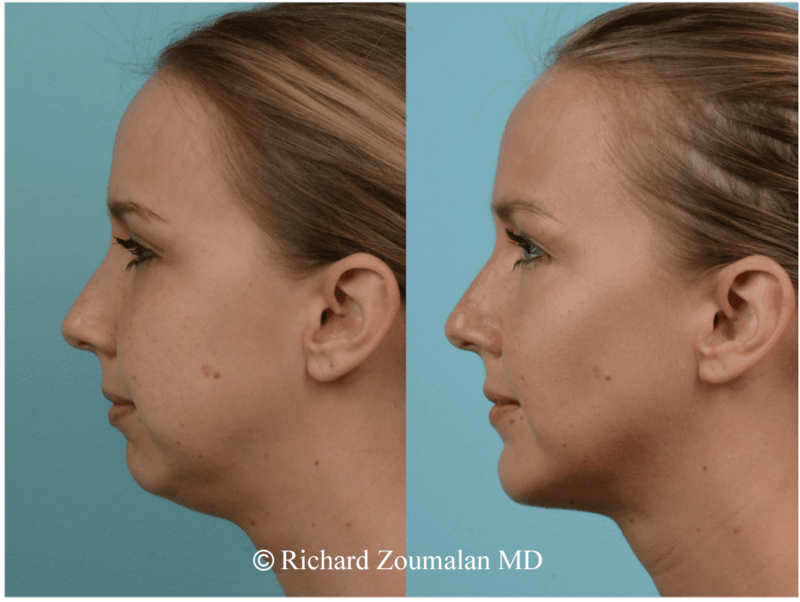 Buccal fat removal removes this fat using a non-invasive technique that can even be done completely awake in the office under local anesthesia. Dr. Zoumalan performs in-office buccal fat removal using very small incisions inside the mouth. 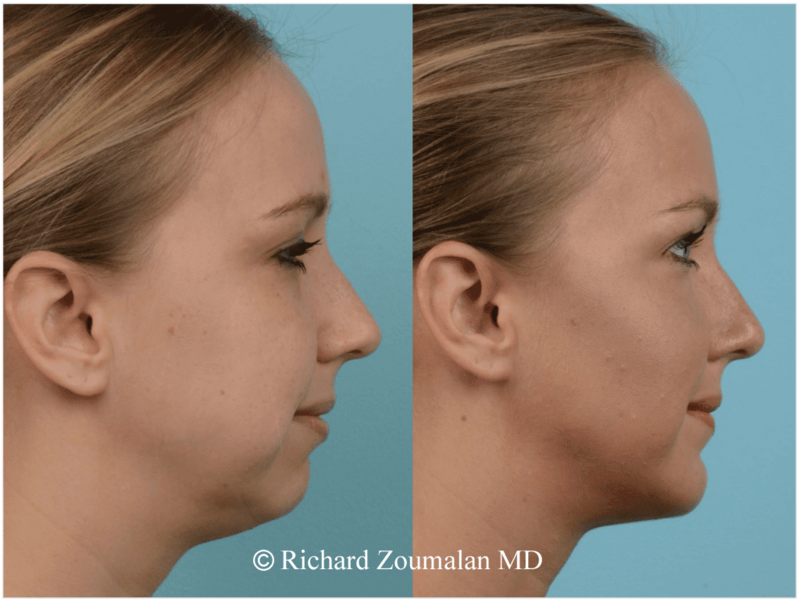 This reduction surgery can really slim down the cheeks tremendously and is a great operation. Buccal fat is a natural fat pad that has a capsule. This makes it easy to take out as one single pocket of fat without having to use liposuction. A small incision is made inside the mouth and it is gently teased out. It is a painless operation with little recovery. No external incisions on the face are needed. Downtime is very little and you can go back to work the next day. 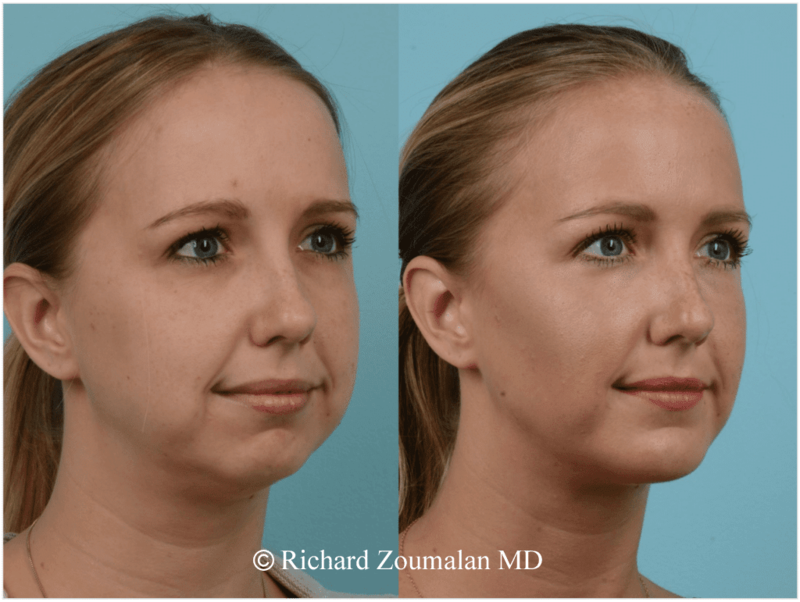 Typically, it takes at least a few months to see the final results, but there is some swelling in the cheek area that takes time to come down. This can be done either in the office totally awake, or if you want, we can do this with some twilight anesthesia. It is a well tolerated procedure. 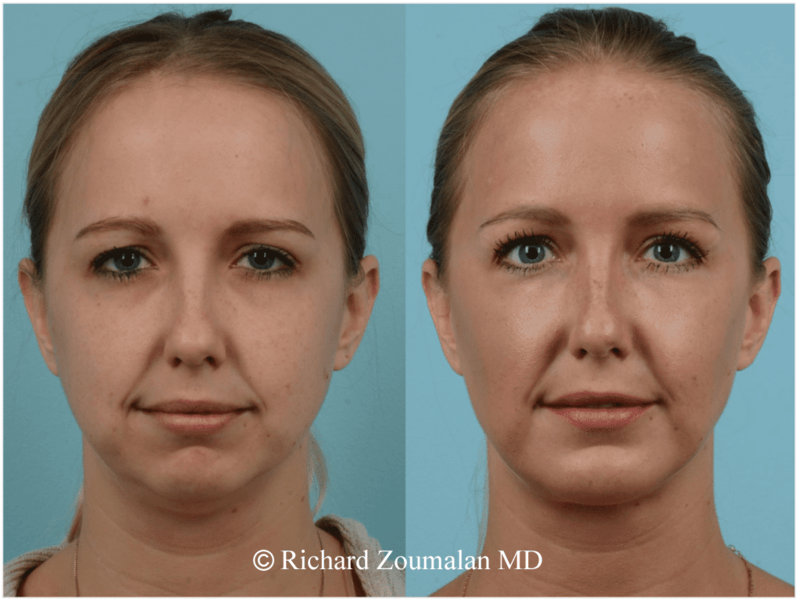 Buccal fat removal can also be done at the same time as a facelift using the same incisions. This can slim down the face very well and add to the result of the facelift. The risks of buccal fat excision are very small, and the satisfaction rate is very high. This is an intraoperative video of Dr. Zoumalan performing buccal fat removal on a prominent surgeon under local anesthesia (totally awake) in our Beverly Hills, Los Angeles clinic.